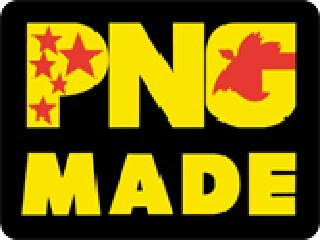 THE National Agriculture Quarantine and Inspection Authority(NAQIA) has clarified that all PNG exported products are compliant to host countries where biosecurity is concerned. This is in relation to the current discussions and disagreements between the respective Ministers for Trade between PNG and Fiji on perceived unfair restrictions of trade of animal and plant products. NAQIA in a statement released yesterday said the Ox and Palm canned corned beef went through a process of import risk analysis (IRA) that was initiated by Fiji’s competent authority (then known as Ministry of Agriculture, Sugar and Land Resettlement) following its request to enter the Fijian market in 2000. This assessment was conducted by officials from the Fijian competent authority who visited PNG in 2004, and assisted by relevant authorities and private stakeholders (Hugo Canning) in PNG and the outcome of this IRA process had been conveyed back to PNG and approval was granted by the Fijian competent authority for Ox and Palm corned beef to be allowed market access in Fiji. However a further import restriction was placed on PNG Ox and Palm by Fiji around 2008 and the basis of that restriction remains unknown but that restriction was lifted in March 2012 when the Fijian Government lifted the restrictions on PNG corned beef until recently. NAQIA understands that it is the right of the importing country (Fiji) to impose import standards and requirements necessary to protect their animal, plant and human lives. And therefore, standing import conditions do change from time to time based on a change in the animal health status and food safety situation of the exporting country. If there had been such a change to cause Fiji to apply further restrictions to the Ox and Palm product, including processed Trukai rice and Paradise biscuits then the onus is on Fiji to report and explain their reason to PNG in accordance with WTO rules and in the spirit of the MSG. a) The specific technical basis for considering that the Ox & Palm canned corned beef, processed Trukai rice and Paradise biscuits present unacceptable biosecurity and/or food safety threats to Fiji, and b) The reports of previous import risk assessment audits that Fiji has conducted in PNG on these products.